Onboard The Experience Of A Lifetime! After almost 30 successful cruises since 2005, Groove Cruise set sail to Cabo San Lucas for the very first time this month and it was undoubtedly the best one yet! Setting a new record of five nights at sea, this was the longest Groove Cruise to date. With countless incredible moments on board, in my nine years of attending events, I can honestly say this was one of the best festivals I’ve ever attended, if not the best. 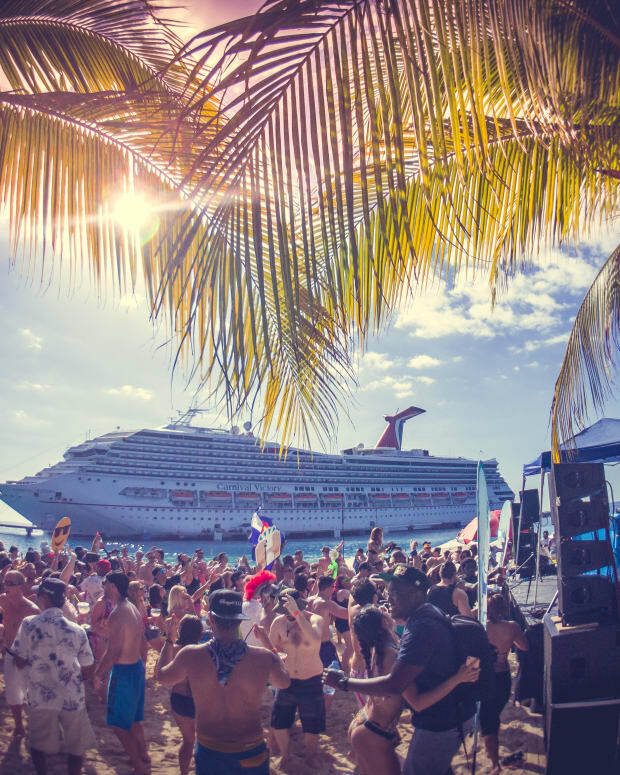 Here are a few of the many highlights on Groove Cruise Cabo and why it needs to be on your festival/travel bucket list! Imagine dancing through the night on an open deck of a ship in the middle of the ocean with the dark sky and bright stars surrounding you, until suddenly light begins appearing as you’re grooving to the most phenomenal melodic tunes with Lee Foss at the decks as the sun rises over the ocean horizon. You’ve lost track of all time because this moment is perfection and you get emotional as you take a breather to watch the sun hit the sky in disbelief of what you’re witnessing. Next thing you know it’s eight in the morning, and suddenly you’re handed a Tuesday morning mimosa. 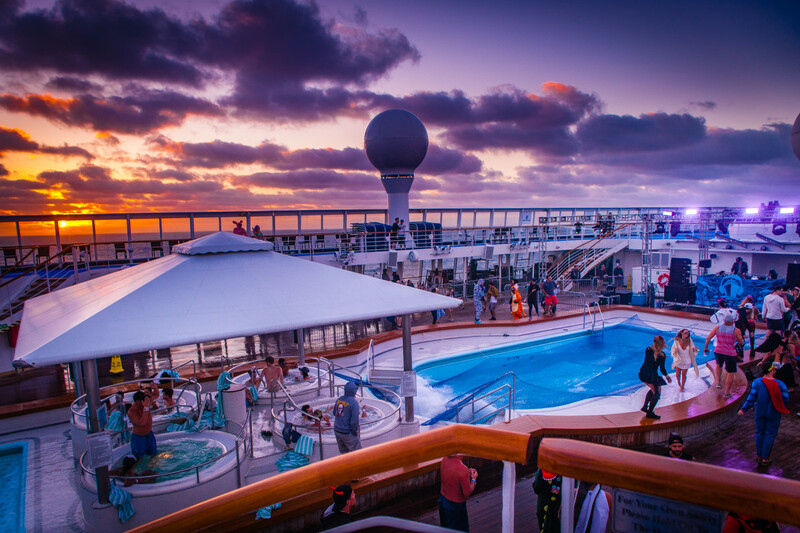 Sounds like a euphoric dream, but thankfully it’s just an average morning aboard the Groove Cruise. After attending Burning Man, countless camping festivals and weeks-long international trips this year, I was pleasantly surprised at how little effort it took me to pack. This was the first time the entire year I didn’t have to bring enough clothes to last me a month or worry about supporting myself for a week. If you’re anything like me and procrastinate packing until hours before departure, you know well this is a blessing. Once on board, things got even better. The complimentary buffet is open 24/7, catering to all those late night munchies and dinners that are actually breakfasts. When your feet are all danced out or you need relief, it’s a quick elevator ride back to the comfort of your air conditioned cabin. There are no mile long treks back to the tent, filthy porta potties or long lines for showers or food in the daytime heat, you’re free to come and go as you please. Take it from me, when you’re hungover AF or in dire need of some zzz’s, it’s one of the many benefits of Groove Cruise. 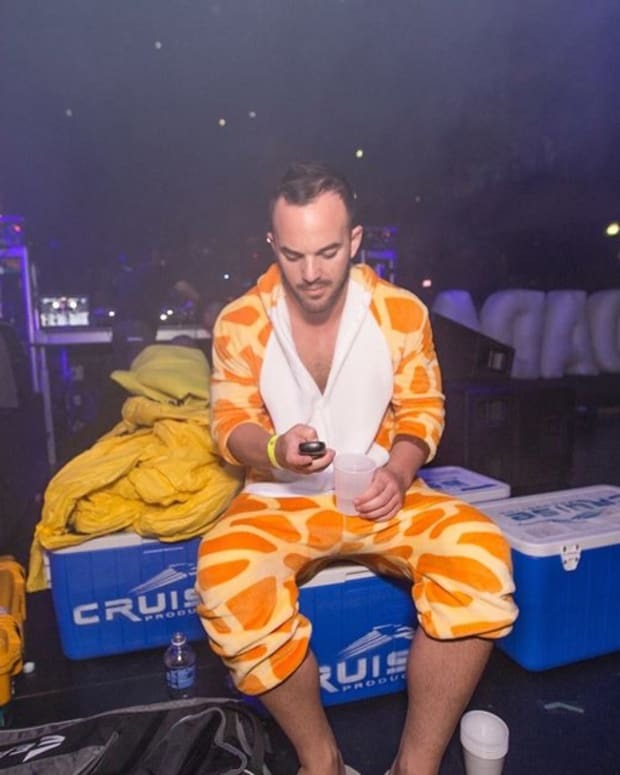 Groove Cruise is already well known and loved for the day and night costume themes on the ship, but add Halloween weekend into the mix and it equals pure ridiculousness on an entirely new level! A unified energy flowed as everyone on board seemed to let loose a bit more than previous cruises. The themed costumes, Halloween costumes, and random hilarious costumes all blended together throughout the days. Just when I thought I’d seen it all, I witnessed Gumby, T-rex, a blow-up doll, Aquaman and Where’s Waldo casually sitting together in the casino at a blackjack table. Don’t be surprised to find your favorite DJ in line behind you at the buffet or dancing beside you on the pool deck, on Groove Cruise this is the norm. Due in part to a more mature crowd, artists are able to roam free and interact without worries of being bombarded by fanboys and fangirls. Sometimes we tend to forget they’re regular people too, so don’t be afraid to approach them when you hit the high seas. They’re on board enjoying themselves just like you! After two days at sea, the Norwegian Sun docked in beautiful Cabo San Lucas for a full day and night of festivities. 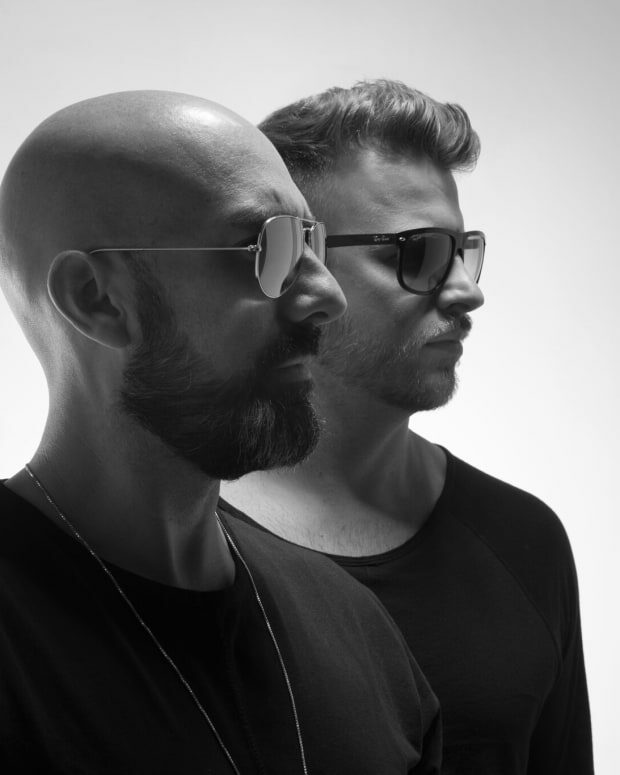 Groove Cruisers were treated to a day and night beachside party at the stunning ME Cabo resort featuring Robin Schulz at sunset and Dubfire into the evening. Keeping true to the nonstop party, the fun continued at the Breathless resort until 4 am with Mark Knight beginning the after hours back on the ship. Both events on land offered breathtaking scenic views and were reminiscent of lavish Vegas style pool parties. For those that opted to take a break in Cabo including my boyfriend and me, there was plenty more to do. We strolled on the beach taking in the gorgeous scenery, took a dip in the warm water, witnessed a proposal, and enjoyed an impromptu candlelight dinner sipping pina colada&apos;s on the shore with the docked ship and famous Cabo arch as the backdrop. It was a much needed refresher from the madness, and soon after we were ready to get back to the action. With over 65 artists performing for five full days at multiple stages indoor and outside, the music literally never stopped. 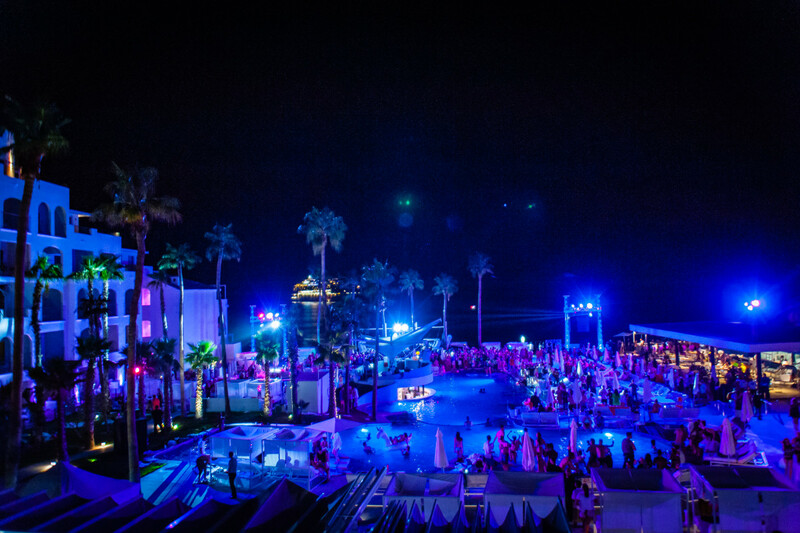 The open air pool deck served as the mainstage while after hours and brunches took place at the rear of the 11th deck overlooking the passing ocean. An onboard theater and lounge both hosted stages with different themes each night, the casino served up late night beats, and if you ever wanted to find your own rhythm, a silent dance party was in full force at night on the top deck. As the very first five-day Groove Cruise, GC Cabo made history as the longest floating electronic dance music festival in history! At any given moment, there was no shortage of music and people dancing the night, morning or day away. 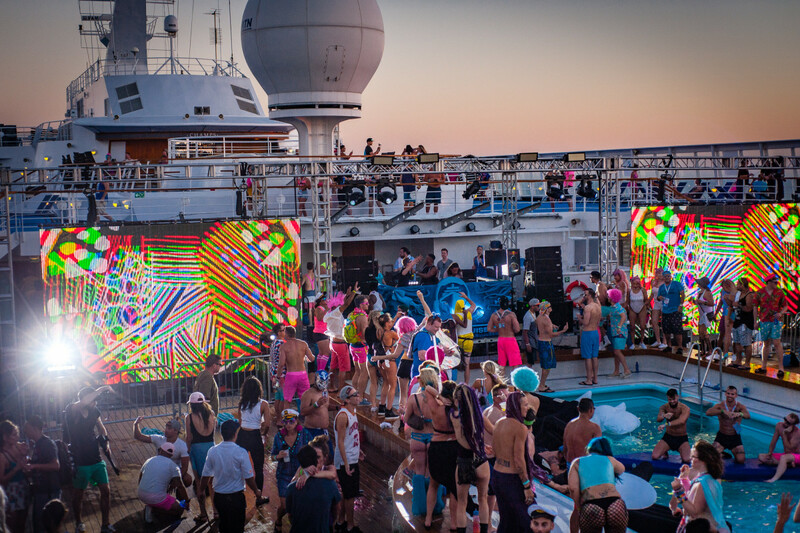 This Groove Cruise a new experience was provided by the name of OZ, which served as a chill out zone for attendees. OZ provided melodic music, a tea and water infusion station, light therapy, an oxygen bar, and even foot massagers in a cozy blow up igloo complete with couches and blankets. We spent a good amount of time here as it was the perfect place to take a break from the nonstop party and reconnect. 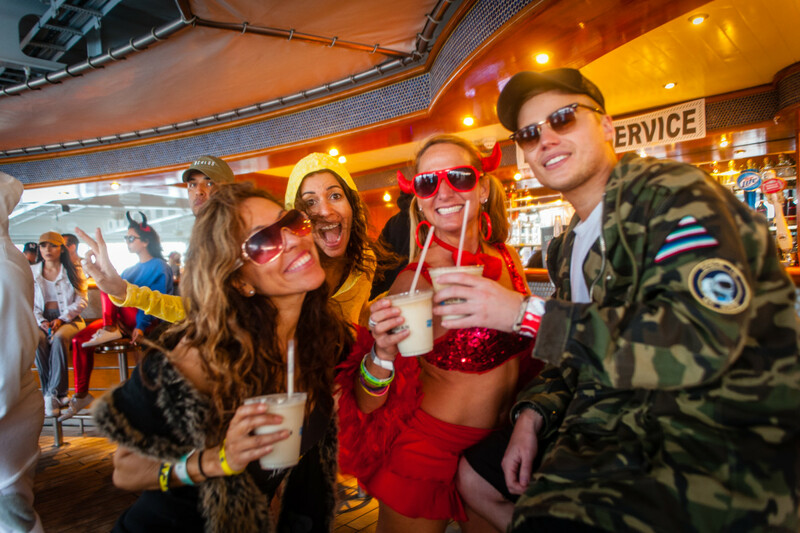 It’s one thing to create friendships at festivals, but it’s an entirely different experience when creating them on Groove Cruise. You might meet someone you don’t already know on the first day, and after repeated run-ins on the boat, you both wonder where the other’s been your entire life and have no choice to become new best friends. There’s something so special about embarking on a journey through the open ocean with like-minded people who share common interests and unified love for music. Last but definitely not least, this was the highlight of my entire Groove Cruise, and there were A LOT of highs. 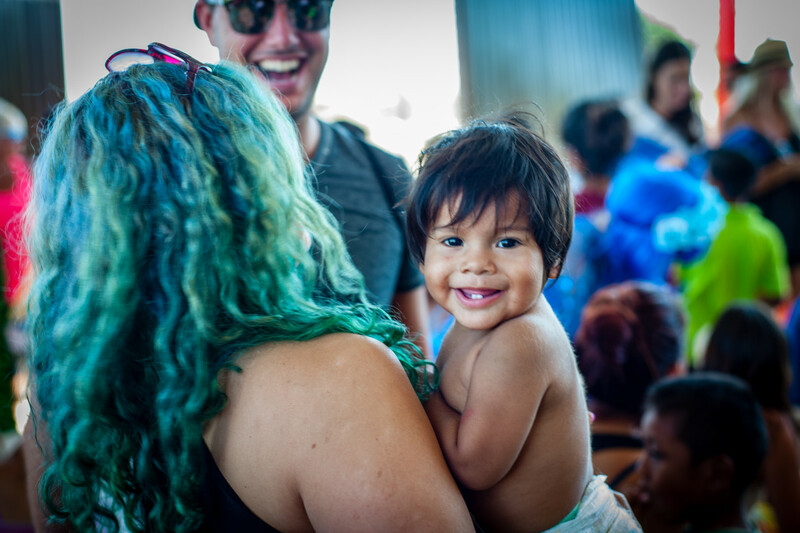 After seeing the potential of philanthropy in dance music, CEO and founder of Groove Cruise parent company Whet Travel Jason Beukema, has made it a point to give back on every cruise with his non-profit, the Whet Foundation. All were invited to take part in a trip to a local orphanage in Cabo the morning of departure. I was pleasantly surprised to see how many Groove Cruisers showed up for the trip into the city at 9 am, as it was definitely a struggle waking up but so, so, so worth it! 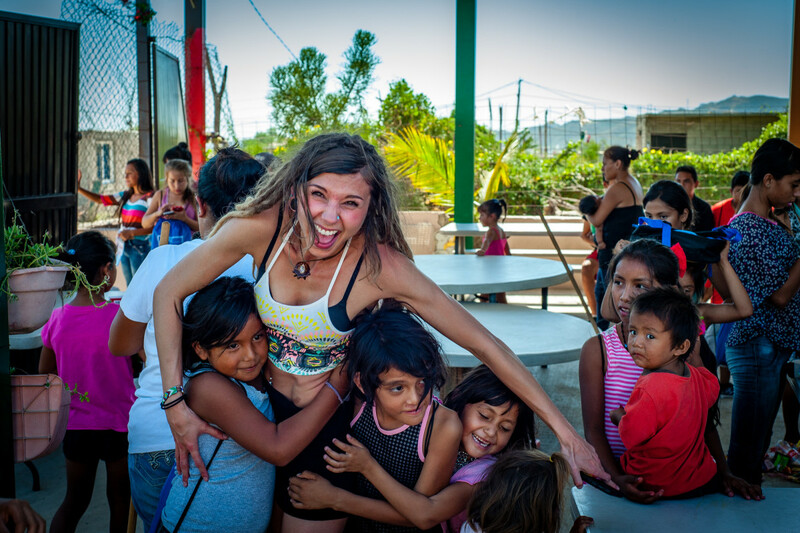 In partnership with the Solmar Foundation, we were taken in shuttles away from the beach lined multi-million dollar resorts to an impoverished side of town that appeared worlds away from where we had just spent the day and night living life luxuriously. The children at the orphanage greeted us with bright smiles and a song as we arrived with school supplies and diapers in hand. Some of us volunteered to make breakfast while the rest of us roamed around spending quality time with the babies, toddlers, and children. After an hour and a half, it was unfortanetly time to leave, and the sweet kids tried their hardest not to let us go...dawww. My heart overflowed with emotions leaving the orphanage knowing we had just made a huge impact on these kids after receiving so many hugs and love. The next time you attend Groove Cruise, please go on the Whet Foundation trip that is offered on every cruise. It’s truly an experience you will never forget. Don’t miss out on the experience of a lifetime, here’s your chance! 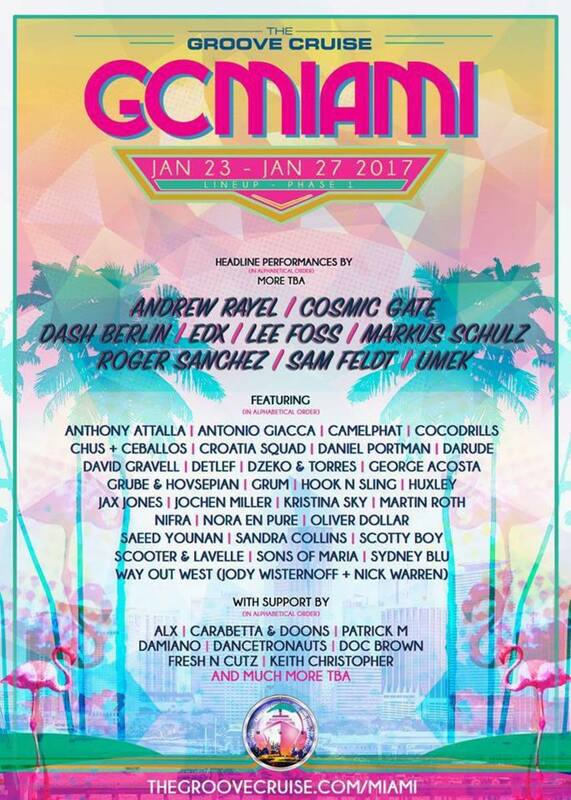 Groove Cruise recently announced a stacked lineup for GC Miami sailing to Turks & Caicos January 23rd-27th, including Cosmic Gate, Sam Feldt, and Umek.